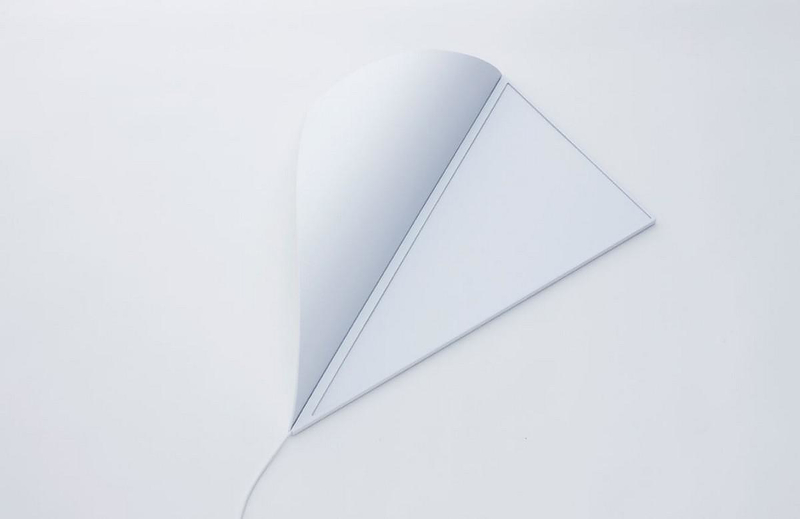 HomeBlogHome DecorPeel wall light by YOY Design Studio. 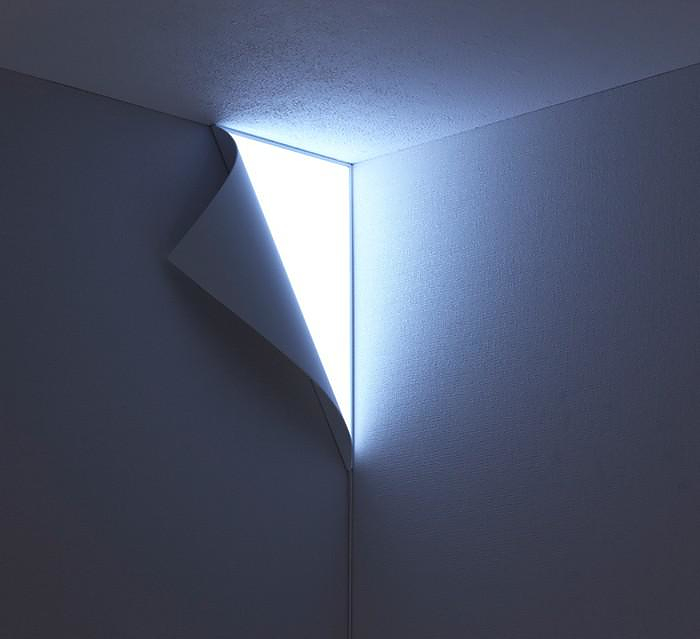 Peel wall light by Japanese design studio YOY looks like your wall is peeling off to reveal light. 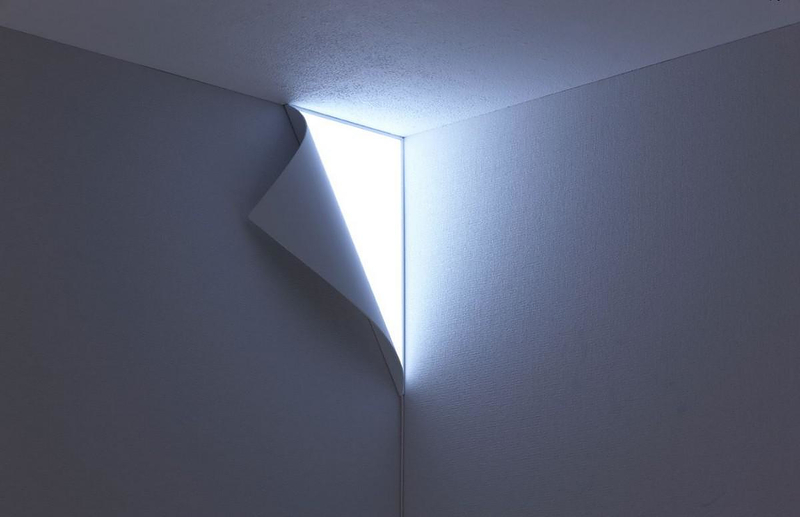 Peel is a wall lamp, but it looks as if wall paper was peeling of the wall and it feels like it can lead you to another world, where you will start imagine your own stories. 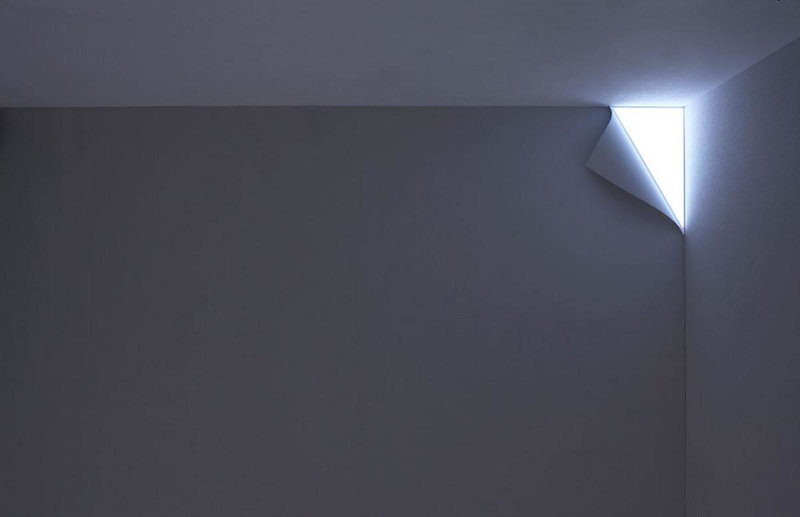 Placed where the wall and ceiling meet, the Peel wall light creates an equilateral triangle of light nestled in the corner of a room. The integrated form implies the lamp is part of the architecture of the room, but the purposefully exposed cable reveals that the light’s placement is temporary. The light is held up with a simple steel bracket that mounts to the wall and an aluminum frame; a fabric diffuser magnetically attaches to the frame to complete the lamp. OLED is used to make the light source as thin as possible and the electric cable is let to stay along a corner of walls so that it doesn’t stand out. It can be ﬁxed to the wall with a hook. 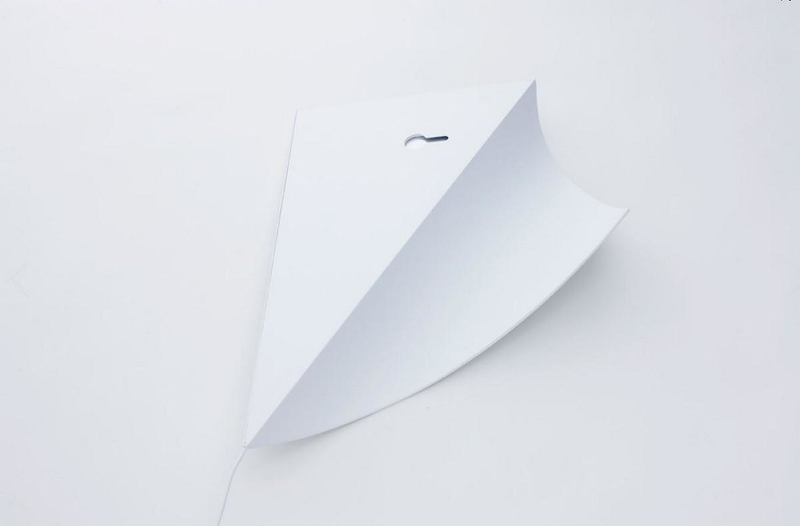 YOY is a Tokyo based design studio composed by Naoki Ono, a spatial designer, and Yuki Yamamoto, a product designer. Started in 2011, their design theme is to create a new story between space and objects. Minimal LED Clock by MILE.